Makeup Remastered- reinvent yourself daily: Eve Lom Cleanser - A fresh start for a new year! I am so curious about this cleansing balm! I normally use a Shu Uemura cleansing oil, and every once in a while, a rose-scented balm from RMK. I love the idea of incorporating of a self-pampering ritual at the end of a long day. thanks for this review! It's a pleasure! 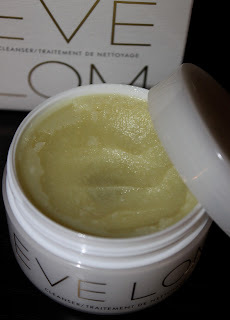 This cleansing balm is truly amazing. I have used the Shu cleansing oil and enjoy it too. If you do the suggested massaging with the balm it really is indulgent! I've heard tons of good things about this cleanser, and I'm very tempted to try it out. The only thing that concerns me is the not so good ingredient list. It has quite a few parabens and fillers. I really love this cleanser ! Parabens really have a bad name and I am not qualified to say "stay away" or not. If you are concerned then steer clear and opt for paraben free products.